February 11, 2019 6:07 pm. (l-r) Ben, David Hayes and Tom Dabernig are hoping to win the race named for the family patriarch. 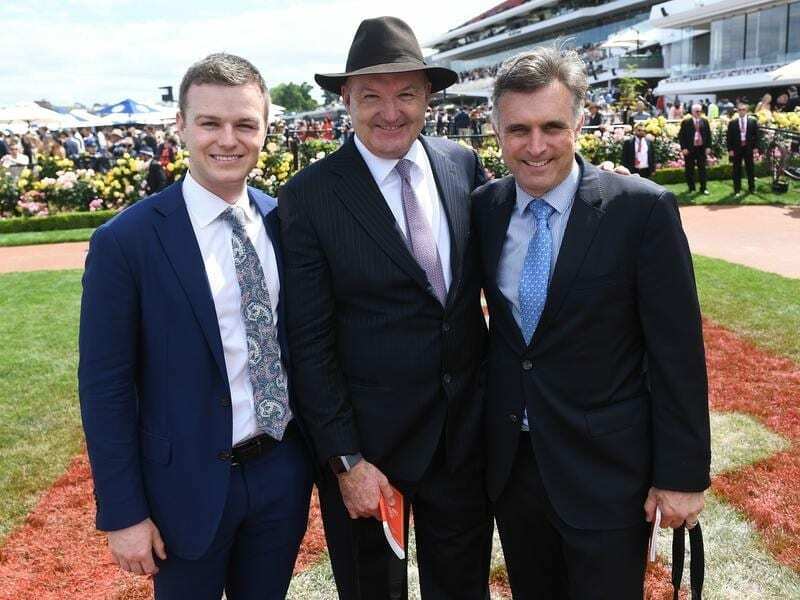 The Lindsay Park team is desperate to win the C S Hayes Stakes at Flemington and hopes to have two chances in this year’s edition of the Group Three race. The race is named in honour of the late Hall of Fame trainer Colin Hayes, father of trainer David Hayes and grandfather of David’s co-trainers at Lindsay Park, Ben Hayes and Tom Dabernig. The stable has More Sundays and Mickey Blue Eyes among the 26 nominations for Saturday’s C S Hayes (1400m), a traditional lead-up to the Group One Australian Guineas two weeks later. “We’re busting to try to win it,” Dabernig said. “We’re sick of presenting the trophy to other trainers. Hawkshot, now with Lindsay Park after formerly being trained by the disqualified Darren Weir, won Saturday’s Group Two Autumn Stakes (1400m) from which More Sundays was scratched. “Originally we planned to run in the C S Hayes and then we entered him for the Autumn Stakes. When we saw barrier one for a big colt we thought we’d wait the extra week,” Dabernig said. “He’s talented. His past couple of runs have been a bit of a mystery but I’m hoping once we go to 1400 metres and maybe a mile he will be better. “He seems good,” Dabernig said.